Below are common attributes associated to Lemon Glow Camellia. Become a care taker for Lemon Glow Camellia! Below are member comments regarding how to plant Lemon Glow Camellia. No comments have been posted regarding how to plant Lemon Glow Camellia. Be the first! Do you know how to plant Lemon Glow Camellia? Below are member comments regarding how to prune Lemon Glow Camellia. No comments have been posted regarding how to prune Lemon Glow Camellia. Be the first! Do you know how to prune Lemon Glow Camellia? Below are member comments regarding how to fertilize Lemon Glow Camellia. 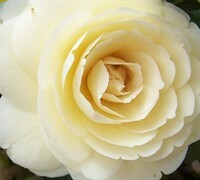 No comments have been posted regarding how to fertilize Lemon Glow Camellia. Be the first! Do you know how to fertlize and water Lemon Glow Camellia? Below are member comments regarding how to deal with Lemon Glow Camellia's pests and problems. No comments have been posted regarding how to deal with Lemon Glow Camellia's pests and problems. Be the first! Do you know how to deal with pests and problems with Lemon Glow Camellia? Looking for Lemon Glow Camellia? I recommend planting Camellia in sites that provide well-drained, fertile soil. ThouCamellias will tolerate full sun, I like to plant them where they'll receive some shade in the afternoon and, because they bloom during the cool season, preferably where they will be sheltered from cold northern winds. Camellias do not like dense, compacted or consistently wet soils. Because they like acid soil, camellias are perfect for planting under the canopies of taller pine trees. The needles provide free mulch and also make the soil more acidic. When planting camellia in well-drained, loose, fertile soil I usually add just a few handfuls of organic matter or compost to the backfill mix and plant with the top edge of the rootball even with or slightly above ground level. When planting camellia in clay or compacted soil, I always dig the planting hole about three times the width of the root ball and add in about 1/3 mushroom compost, or some other form of organic matter, to 2/3 of the native soil removed from the planting hole. If the ground is level, I always plant camellias with the top edge of the root ball about an inch or so above ground level, then taper the backfill soil mixture from the top edge of the root ball gradually to existing grade. To capture additional water during the first year, I usually use any left over soil to build a low water retention ring about an inch or two high around the planting hole. Camellias do not require pruning. However, you may decide to prune your camellia to maintain fullness, or to rejuvinate an old plant that has become spindly. For younger plants (1 to 10 years old) it is best to do some shaping just after the blooms have faded (late Spring or early Fall depending on the variety). Camellia 'Sasanquas' bloom during the fall into early winter, while Camellia 'Japonicas' bloom in late winter through early spring. It is okay during any time of year to remove a stray or broken branch. Cease any pruning of Camellias after July and you are almost guaranteed not to effect the next season's bloomage. If your older camellia has become overgrown, rejuvenation pruning may be necessary. An old camellia can be cut back as far as necessary, even to a stump, and will regenerate into a beautiful plant. Rejuvination pruning should be done in late winter, just before new growth begins to emerge in spring. Whether young or old, a camellia can also be trained to grow as a small tree. To tree-form your camellia, do so in late winter by simply pruning away lower branches and/or stems moving upward to a point that is satisfying in appearance. Make cuts as close as possible to the trunk being careful not to injure the trunk. Step back after each cut or two to make take a look at the shape. Tree-forming may also help to rejuvenate older camellias. Fertilize Japanese camellia after the blooms have faded in early spring. Fertilize again, if needed, lightly in late summer, but no later than 2 months prior to the first frost in your area. Fertilize with an Azalea, Camellia & Rhododendron fertilizer or a natural or organic fertilizer. These are acid-loving plants so make sure to use a fertilizer with a 'nutrient package' containing special extra-added nutrients such as iron and sulfur. Avoid using fertilizers with high amounts of nitrogen (the first number in fertilizer) and phosphorous (the middle number). Always apply fertilizers at the rate suggested on product label. If the foliage on your camellia turns yellowish-green to yellow, this could be an indicator of iron deficiency or soil that is too alkaline. Before applying iron, sulfur or any other product to make soil more acidic, check to make sure that the yellowing foliage is not a result of oversaturated soil, or insect infestation. If you are unsure as to what is causing the yellowing of leaves snip off a branch with some leaves attached and take it to your independent local nursery and garden center. An experienced professional there should be able to diagnose the problem and offer recommendations for a remedy. Camellia are long-lived durable plants however consistently wet soil can cause major problems with the roots. Camellia like a moist but well-drained soil. Lemon Glow Camellia does have yellow flowers. The double flowers emerge light yellow and fade to a creamy white.